Providing staff protection in high-risk environments not only enhances staff safety but also results in increased productivity. Staff can work with confidence knowing that their personal safety is maximised and that help is immediately to hand if their safety is threatened. Dependable staff alarm solutions are essential when working in potentially threatening situations whether it’s in a busy A&E Unit or a lone worker situation. 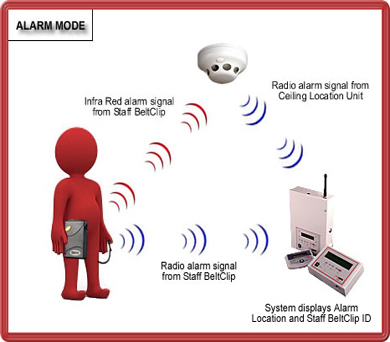 The ARM Staff Alarm System is a dual-technology based portable staff alarm system. It combines the unique location and identification capability of infra-red with the security of a fully supervised radio system. 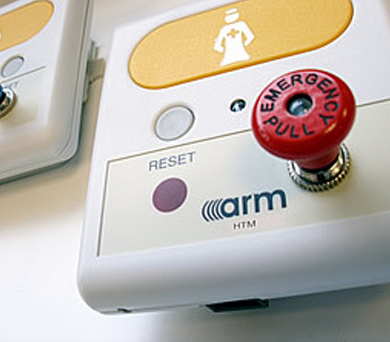 The ARM nurse attack alarm system includes fully monitored and addressable wireless ceiling or wall mounted units making installation quick and easy with minimum disruption to staff and patients. Staff carry a Personal Alarm Unit which can be a simple infra-red fob, pendant or a fully monitored dual-technology belt-clip unit. Staff alarm units are available including in various formats including dual-tech, infra-red only or radio only versions. The location units contain both infra-red receivers for localised receipt of signals and radio transmitters to communicate information back to the system. Staff can call for assistance or send an emergency alert if their safety is being threatened. For Lone Workers a ‘man-down’ facility and auto-dialler can also be incorporated into the system. Alarms and locations are shown on the system displays or can be relayed to staff pagers/DECT handsets for a faster response. The ARM system can also be integrated with most nurse call systems. Why Choose An ARM Staff Alarm System? CenTrak’s Staff Duress and Panic Alerting products rely on active-RFID safety, security and visibility technology enabling immediate response times during emergencies by instantly locating the specific employee under duress. Assistance is only a simple button-press or pull-cord away and provides staff members with the peace of mind knowing that they are always protected. With CenTrak, hospitals can ensure the safety and security of their team and patients. 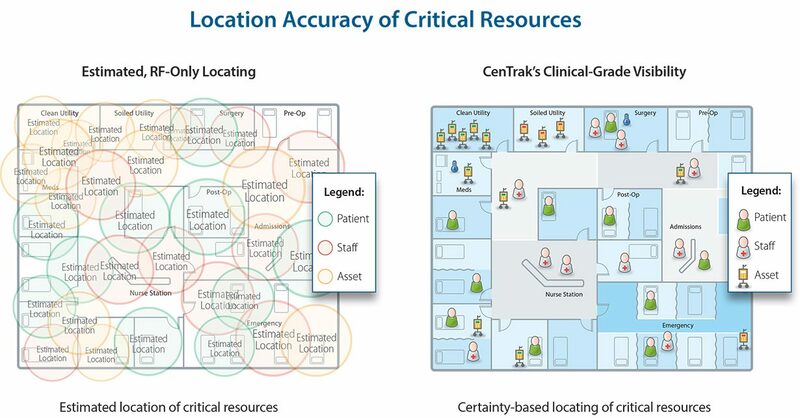 The most advanced RTLS platform, CenTrak, is smarter thanks to its Clinical-Grade Visibility™ technology.Leveraging the accuracy of active hospital RFID safety, security and visibility technology, CenTrak is a powerful solution. Real-Time Location Systems (RTLS) increase workflow efficiencies in healthcare facilities to reduce costs and improve patient care, but they are not all the same. Knowing what zone, what room or what square foot a person is in saves time and improves the likelihood of an effective outcome. When seconds count, knowing the exact location is what will make the difference in the quality of care that is delivered. Most RTLS systems breakdown the facility by estimated zones to locate personnel or assets. However, the ability to define the clinical area based on the healthcare facility’s specific requirements is one thing that makes a visibility system more accurate. 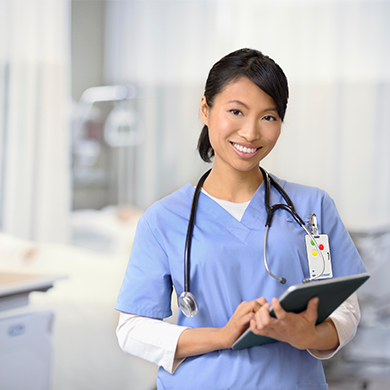 A combination of active radio frequency identification (RFID), Wi-Fi and Second-Generation Infrared (Gen2IR™) technology, provides real-time location information for staff and patients. With wireless medical staff locating and patient tracking, team members can instantly determine when and where help is needed to respond quickly. 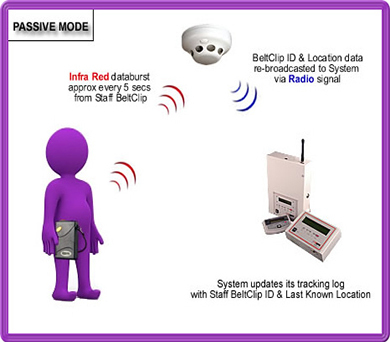 Each staff member is provided with a CenTrak active-RFID, Real-Time Locating System (RTLS) badge featuring wireless call functionality. In the event a staff member is in need of assistance or is faced with a threatening situation, the individual can simply press or pull on their badge. 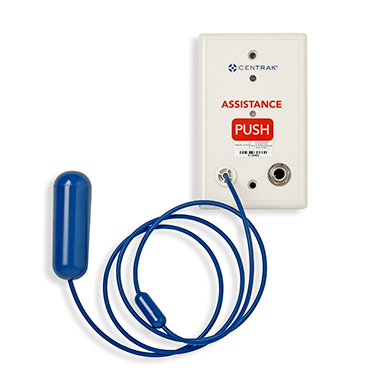 CenTrak offers wearable and wall-mounted devices with two different alerting options: button-press and pull-cord activation. Any of these methods will discreetly summon help via the CenTrak wireless network or existing Wi-Fi network. 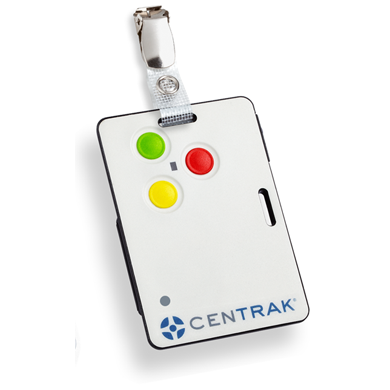 Why Choose Centrak’s RTLS Staff Security System?